Home » 2010 » October » 3 » Sneak peeks! It's only a tiny part of the whole saturday's photoshoot. 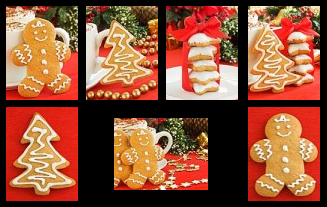 A lot of gingerbread cookies (christmas trees, man, stars, etc.) with colored glaze waiting for their time. I have really too many ideas about compositions. So I'll try to put them together.